Acclaimed by audiences and critics alike, Stephen Petronio is widely regarded as one of the leading dance-makers of his generation. New music, visual art , and fashion collide in his dances, producing powerfully modern landscapes for the senses. He has built a body of work with some of the most talented and provocative artists in the world. Founded in 1984, Stephen Petronio Company has performed in 40 countries throughout the world, including numerous New York City engagements with 23 seasons at The Joyce Theater. The Company has been commissioned by Dance Umbrella Festival /London, Hebbel Theater/Berlin, Scène National de Sceaux, Festival d’Automne à Paris, CNDC Angers/France, The Holland Festival , Festival Montpellier Danse, Danceworks UK Ltd, Festival de Danse–Cannes, and in the U.S. by San Francisco Performances, The Joyce Theater, UCSB Arts & Lectures, Wexner Center for the Arts, Walker Art Center, and White Bird, among others. 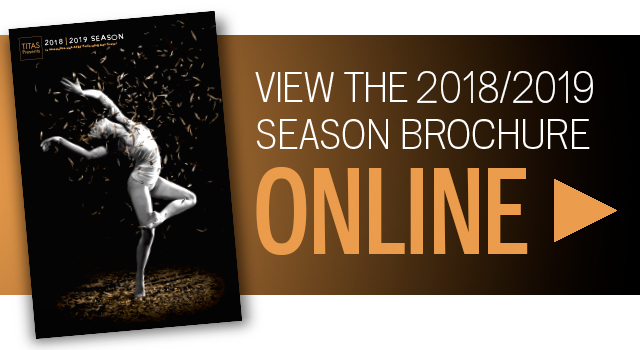 The 2014–15 season marked the first incarnation of Bloodlines, a project of Stephen Petronio Company to honor and curate a lineage of American postmodern dance masters. Distinguished for creating original languages that embody the highest level of art ist ic excellence displayed through extreme physical and conceptual rigor, these artists have had a profound impact on Petronio’s own artistic path. To date, the Company has restaged seven works, by Merce Cunningham, Trisha Brown, Anna Halprin, Yvonne Rainer, and Steve Paxton, with plans to incorporate others in the coming seasons. The juxtapositions of Bloodlines repertory alongside Petronio’s works offers audiences an experiential insight into the evolution of this strand of creativity in American choreography. In 2016, Stephen Petronio Company expanded its focus on American postmodern dance to explore the meaning of legacy and its impact on the future and sustainability of this most ephemeral art form. With an eye toward securing artists’ consistent ability to create and explore, the Petronio Residency Initiative (PRI) has been established as a retreat center where research and the creative process will be paramount. After launching the Campaign for PRI, $1M was raised within 12 months to facilitate the purchase of Crow’s Nest , a 175-acre property in Cairo, New York, 20 minutes from the burgeoning Catskill and Hudson, New York art scenes. Paid artist residencies will begin in the summer of 2018, providing dedicated rehearsal space and resources to choreographers and their collaborators to develop new work in an environment unfettered by market constraints and away from the daily pressures of urban life. The program will become part of a growing ecosystem in the U.S. dedicated to fostering a new model for the future of contemporary dance. The Company recently performed its 23rd season at The Joyce Theater in NYC, after a five week residency teaching and performing in Singapore, Thai land, and Vietnam as a part of the sixth season of DanceMotionUSA supported by the U.S. Department of State and Brooklyn Academy of Music.